Last year I created a 31-Day Zero Waste Challenge that was all in video format. You can see the YouTube playlist attached below. This year, I thought it would be fun, to take that challenge and really flesh it out. I want to make it insanely comprehensive with blog posts, guide books, videos, even live Q&A’s. If going zero waste is a New Year’s Resolution of yours - this is your one stop shop. As all of the blog posts come out, they will be linked here. Consider this the hub for all challenge related information. Every day over the course of the next month, I will give you one challenge. I’ll tell you the problem, give you the solution, and have an action item for you to implement. In addition to this challenge I’ve created some sweet bonuses! So, if you’re just starting out and have 1,000 burning questions you can ask them to me via video chat! Get access to my private Facebook group, where I’ll be hosting weekly lives throughout the challenge and I answer all of your most pressing questions. PLUS, I’ll be sending out a brand new e-book at the end of the challenge called the Game On Handbook. Which is all about individual ways to fight climate change. Checking a blog every day not your style? I’m also the head content creator over at pelacase.com and have partnered with them to create an email version of the challenge. I will be sending out weekly recap letters with Pela if you’d prefer to have this challenge in larger chunks and delivered straight to your inbox. But, first…. I need your help. I want 1,000s of people joining me on this challenge. 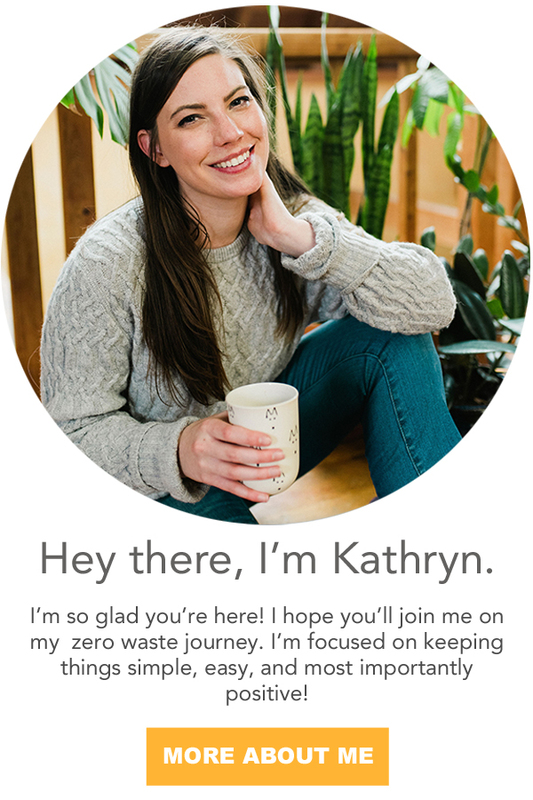 I think it’s the perfect time to help get friends and family involved because… living a zero waste lifestyle checks off everyone’s major new years resolutions. Yep, you’ll be eating healthier and saving money! Seriously, see how I’ve saved over $12,000. Be sure to share the challenges with your friends and family! Upload an instagram story of you participating in the challenge or share this page on Facebook. Be sure to tag me on Instagram @going.zero.waste so I can see and share too! Climate change is real, but not unsolvable. There are lots of actionable steps you can take to save the planet from an ever-changing climate. Here are five ways to reduce your carbon footprint. Going zero waste is a great step towards combating climate change. Practicing the 5 R’s of zero waste can help. You’ve probably heard of the three R’s: Reduce, Reuse and Recycle. But there are two more that are equally important. Refuse – Avoid single use plastics and paper products by saying no thank you, opting for reusables. Reduce – Downsize what you purchase, opting to be more mindful of what you really need. Reuse – Always find a way to keep an item out of the landfill by keeping it in great condition, repairing or upcycling it when it breaks. Rot – Set up a compost system for your food scraps, or find a food scrap drop off center (like a farmers market, or community garden) near your house. Recycle – Properly recycle any plastic, paper, glass or metal that comes into your life you cannot refuse, reduce, or reuse by researching your state’s recycling laws. Zero wasters do their best to follow these 5 R’s as closely as possible. 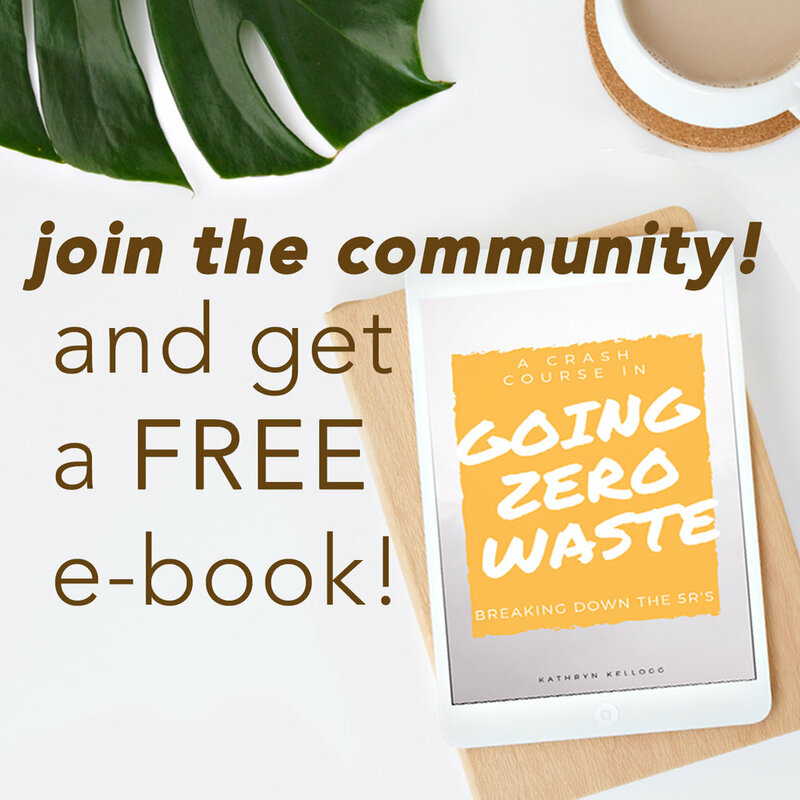 For more tips on going zero waste, check out the beginners guide to zero waste living. Traditional cars put out a lot of exhaust, which pollutes the air. In fact, vehicles produce one-third of all U.S. air pollution. The toxins emitted by vehicles are also very dangerous for human health, considering the tailpipes are at street level where humans can breathe the air directly into their lungs. Challenge yourself to drive less and bike more. Riding your bike forces you to utilize your own muscle power. You’ll get a workout all while helping the environment. Plus, it requires much less energy to produce a bike than it does to manufacture a car. If you can’t bike to work for whatever reason, take public transportation. It puts less cars on the road, which reduces the amount of exhaust filling the air at once. And, try to save flying for truly special occasions! Check out the tips for zero waste air travel, and make sure to purchase carbon offsets. Reducing your water usage is essential: There’s only so much water on this earth, and we can’t make any more of it. Did you know 96.5 percent of the water on earth is too salty for human consumption? Two thirds of the remaining fresh water are locked away in polar ice, glaciers, and permanent snow. Melting it won’t help, seeing as most of it will just end up as sea water. That’s why it’s so important to cherish the water we have. When you brush your teeth, be sure to shut off the water while you lather up. Don’t leave it running: Only turn it on when it’s time to rinse your mouth out. Take shorter showers. A fun way to do this is by listening to a 5 to 10 minute song, then shut the shower off when it’s over. Don’t flush things down the toilet to dispose of them. One flush can waste up to 5 or 7 gallons of water! Avoid dish/body soaps filled with toxins. Conventional dish and body soap contain ingredients that go down the drain and only further pollute our water supply. Make the switch to all-natural, eco-friendly soap. Host or join a waterway cleanup in your local community. Keep those waters plastic free! Opt for reusables. Lots of disposable items take gallons of water to make. For example, one roll of toilet paper takes 37 gallons of water; A single disposable diaper takes 144 gallons of water. There are several other products, like paper plates, cups and towels, that gallons of water to make as well. That’s why switching to reusables will help you save water in the long run. I love eating seasonal foods! Whenever I go to the farmers market, I’m amazed by the bounty mother nature has to offer with each passing season. All the produce is at its peak, so it’s absolutely delicious. Try to buy the majority of your food as local produce. Animal products are much more intense as they require more water and resources. Making the majority of your plate plant-based foods, is healthier and better for the planet. Eating seasonal also means eating local, which is great for the environment. When you support local farmers, you don’t have to worry about how far your food traveled to get to you. It doesn’t have to sit in traffic for days, spewing exhaust fumes into the air. It gets to you quickly, without polluting the air. Check your local farmers market to see what foods are in season near you. Get to know the farmers there and feel free to ask them about their farming practices. Better yet, bring some reusable produce bags and totes with you to reduce waste! The U.S. gets 81 percent of its total energy from oil, coal and natural gas (in other words, fossil fuels). These fuels heat our homes, run our cars, and provide us with electricity. However, fossil fuels are limited, finite resources and just the transportation of them alone can cause air pollution. When the fuels are burned, they emit toxins that speed up climate change. There is good news though! You can help stop our reliance on fossil fuels by switching to sustainable energy today. There are so many amazing, innovative ways to source energy in this day and age. Solar and wind power are just a few (though, by far the most common): There’s also water and geothermal power to consider. Install solar panels on your roof: This is the most expensive option, but a good one if you feel you can make the investment. Talk to a professional and a trusted company before making the leap. Your own utility may even offer installation. Join a community solar farm: This is a lot more feasible if you’re on a budget. Or don’t have a suitable roof. The solar farms are remote and don’t require you to install anything on your property. In return, you’ll see savings on your energy bill over time. Sign up for energy saving programs: Many utilities are beginning to offer programs that will help you reduce your energy usage, and save a buck. See if yours offers any you can take advantage of. Cut down on electricity use altogether: No matter what you decide to do, using less electricity is always the best option. Invest in more energy efficient products (I personally only buy products with the energy star logo on it), and make sure to shut off lights when you’re not in a room. Pull plus out when not in use too. Buy an electric car: Instead of buying a traditional car, why not buy electric? If it’s too out of budget, consider buying a used electric car instead. If you liked this post be sure to check out 4 Ways to Fight Climate Change as an Individual. What are some ways you plan on reducing your carbon footprint?